If you have an ice cream maker…Place the yogurt, vanilla essence and sweetener, if using, in an ice cream machine and churn according to the machine instructions until thickened and starting to firm up (this usually takes about 20-25 minutes). until firm enough to scoop. When you’re ready to eat, half-fill four chilled dessert glasses with raspberries. Add a scoop of the frozen yogurt, scatter over the remaining crushed Maltesers and serve ice cold. if you don’t have an ice cream maker…You can still make this delicious dessert. Place the yogurt, vanilla essence and sweetener, if using, in a bowl and stir to mix well. Place the mixture in a shallow freezerproof container, cover and freeze for 2-3 hours. and blend until smooth. 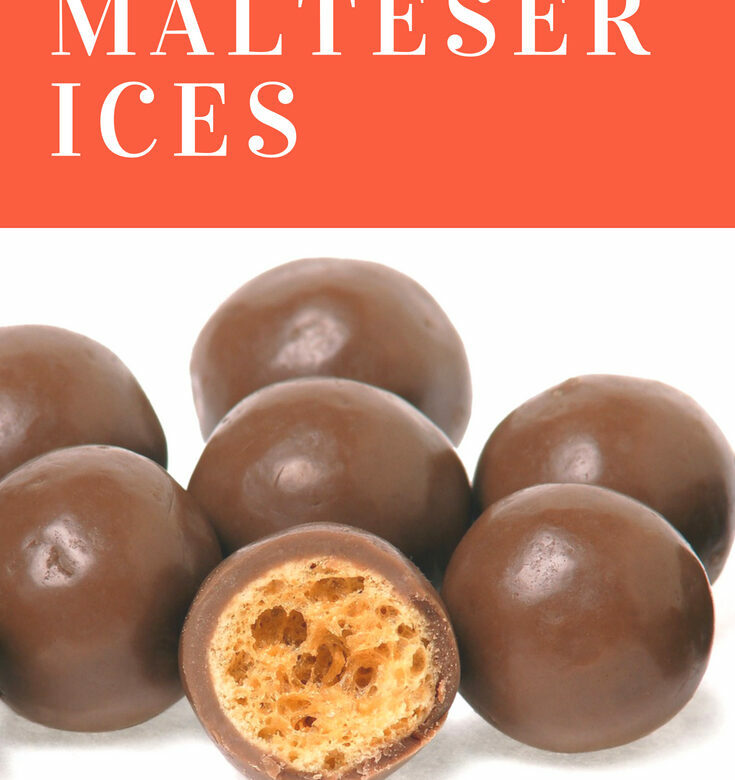 Fold in most of the Maltesers, return to the container, cover and freeze for 1-2 hours or until starting to set around the edges. Beat the mixture with a fork to break up the ice crystals and return to the freezer. Repeat this process every 30-40 minutes or until the mixture is fairly firm and just setting. Freeze for 3-4 hours or until firm enough to scoop.